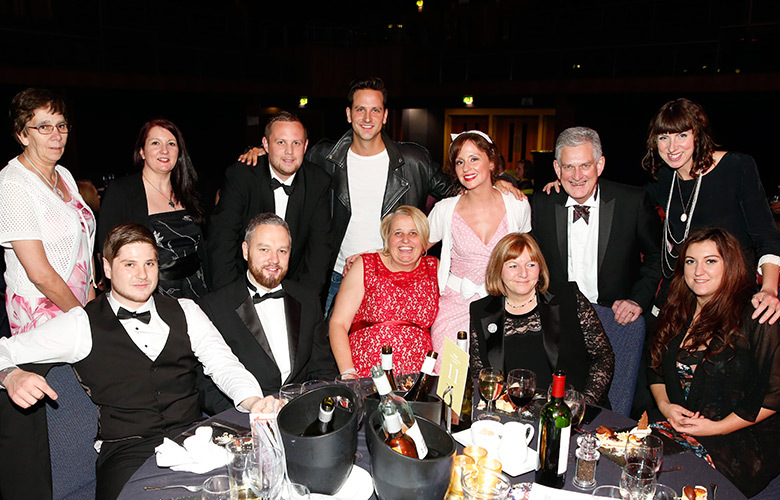 Thursday 19th November saw over 300 of the very best in social care attended a glittering awards ceremony at Cheltenham Racecourse for the finals of the Great South West Care Awards, where the category winners were announced. The Great South West Care Awards, sponsored by Access Health & Social Care brought together the category finalists from across the South West region. Winners of the Great South West Care Awards will go through to the final at Birmingham’s ICC in Spring 2016. DoCare was set up through personal experience and the husband and wife team were determined to be innovative and influence care provision no only in their area but nationally. They are proud of their transparent and inclusive business model. Their commitment made them easy winners. Robert was nominated by his work colleague following Robert carrying out CPR after he suffered an arrhythmia which stopped his heart beating. Roberts quick intervention, professionalism and general ‘can do’ personality have transformed the lives of many people in the home. Pat is a passionate and dedicated care worker who strives to ensure dignity, independence and respect is at the forefront of person centred care. As one service user put it, “when you come in the sun comes out!” Well done Pat! Inspired by the loss of his grandmother Joe joined the sector just 3 months ago. In a short time he has demonstrated incredible passion and dedication for improving the lives of the people he supports. An inspirational and worthy winner. Theresa has dedicated the past 20 years to Hengrove Care Home. Her passion and commitment to her staff, service users and their families ensuring an excellent quality of life is outstanding. Becks is a young registered manager who’s motivation and drive has seen her develop from support worker to her ‘dream’ job. The judges believe Becks has a promising career ahead of her and social care has gained a star! Annette is passionate about caring through nutrition. She will go above and beyond to ensure meal times are an enjoyable part of the day. Annette has a pro-active approach to ensuring even the most complicated diets are catered for to the full. Dignity is engrained in all daily practices at Pilling. Innovative, pro-active and thoroughly passionate about providing person-centred care for residents at the end of their life. Inspirational! Anthony has made a bit impact in a relatively short time. He has established great links with the local school and community. Anthony words hard to treat everyone as an individual. His passion for his job is infectious. Rebecca is proactive in ensuring activities are meaningful and person centred. She plays a big part in fundraising initiatives and goes above and beyond to ensure residents wellbeing is at the heart of everything. The Shared Lives Placement Mum & Toddler Self Adoption Plan is a pioneering service that supports parents with a learning disability to keep their families. A fantastic innovation! We found Emma to be a true leader. She truly believes ‘you are only as good as the people you work with’. Emma feels she is allowed to be creative that enables life to be interesting for residents and staff. It is her experience and calming approach that made her stand out. Kate’s attitude and empathy to her service users and staff was evident. She is a warm and caring individual with a focus on making it work for all. Richard is as passionate about the company and providing high quality care and support to individuals now as he was from day one, in 2004. He still makes time to meet and greet each new member of staff as well as communicating with longer serving staff on a regular basis. Richard is dedicated to ensuring the people within Homes Caring for Autism have independent, fulfilled lives, where their choices and rights are respected and promoted. Richard is willing to be hands on as required; even taking the time to visit individuals who do not have family on Christmas Day. Richard’s positivity and enthusiasm for supporting individuals shines through and is a great inspiration for others to do the same.